A rustic cabin. a seaside cottage. Has it been a lifelong dream of yours to own a second home? Buying a vacation home can be an alluring prospect. But before you decide to purchase one, however, you should consider a number of issues. These include the costs associated with owning a second/vacation home, the attributes of the home, its rental potential, and the income tax treatment. Before you buy a vacation home, first determine whether or not you can afford it. Even if you can rent it out or deduct part of the costs of ownership from your taxes, a vacation home is primarily a luxury, not an investment. You should buy one to add value to your life instead of to your net worth. How much will it cost to own a vacation home? 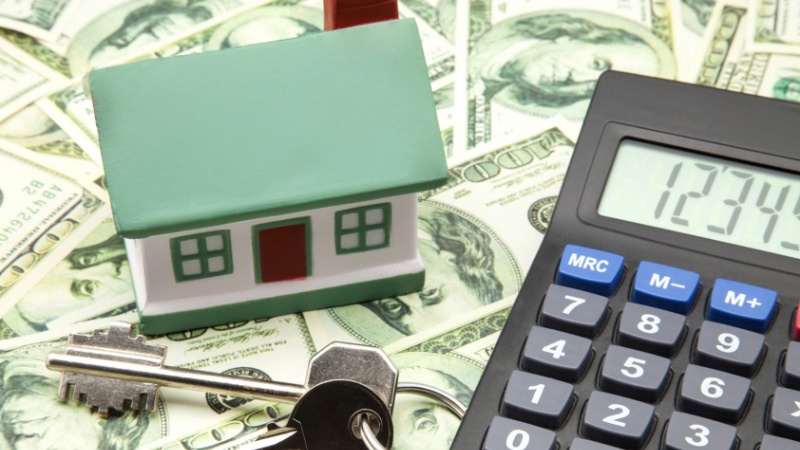 Unless you pay cash for your vacation home, you’ll have to pay a monthly mortgage payment. And, whether you pay cash or not, you’ll have to pay property taxes and a premium for hazard and liability insurance on the home. Whether you maintain the home yourself or hire someone else to do it, you’ll have to spend money on repairing and keeping up the home. Maintenance costs can include cleaning, yard work, pool or spa maintenance, plowing, and both major and minor repairs. If you’re buying a condominium, you won’t have to maintain the exterior of your unit or do yard work, but you’ll have to pay a monthly condominium fee instead. Or, if you decide to rent your home, you may want to hire a professional management company that will charge you a fee to rent out and maintain the home. Tip: Colder climate homes require more hands-on maintenance and day-to-day oversight vs. homes in more temperate areas. Second homes may be better suited as a condo or townhome where professional oversight takes place regularly. The amount of money you pay for electricity, heat, sewage, water, phone, and other utilities will depend on how frequently you use the vacation home. These costs can really add up, especially if you have a large number of people staying in the home. Unless your vacation home comes fully furnished, expect to spend quite a bit of money on furniture, bedding, and dishes to equip your new home. Don’t overlook the cost of traveling to and from your vacation home. You may also spend more money dining out than you would at home. Even groceries can cost more in a resort area. If you have guests, you may spend a lot on recreational activities and entrance fees to attractions, as well. Personal tastes and the reason you’re buying a vacation home will dictate the type of home you’ll buy and its location. For instance, if you want to get away from it all, you might want a rustic cabin. On the other hand, if you plan on inviting family members to visit or are thinking about renting out the home, you might want to buy a spacious chalet in a resort area where there is a lot to do. Here are some things to think about when you’re choosing a vacation home. Is the property within a three-hour drive of your home? This is important if you plan on traveling there frequently. Are there recreational activities nearby that appeal to both you and potential renters? 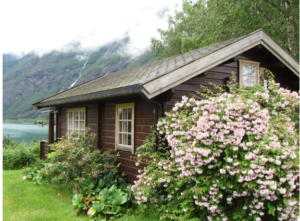 Is the property in a scenic, desirable location such as near a lake, beach, or the mountains? Is the area being heavily developed? This may be a plus if you’re renting to others, a minus if you’re looking for peace and quiet. Will you enjoy coming back to the area year after year? Is the home large enough to accommodate friends and family members who will want to visit? Is the kitchen large enough to prepare meals comfortably? Are the bedrooms and bathrooms adequate for the number of people who will be staying there? Is there adequate parking? This is especially important if you have an RV or a large boat. Is there room to store items that you want to leave at the home (e.g., extra clothing, equipment, or food)? Does the home have modern appliances, including a dishwasher and a washer/dryer? Does the home have a fireplace for chilly evenings? This is especially important in ski country. Does the home have a swimming pool? A hot tub? A sauna? Does the home have a porch (screened or unscreened) where you and your guests can relax? Does the home have reliable plumbing, heating, and cooling systems? Making repairs while you’re on vacation is no fun. Will the grounds require a lot of maintenance? Unless you enjoy it, do you really want to spend your vacation working out in the yard? Is the home currently in good repair, or will you have to renovate it in order to make it livable? How do you insure a vacation home? You’ll want to insure your vacation home against damage and loss. 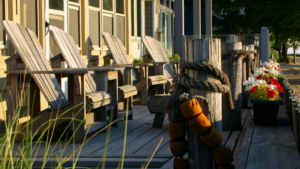 Your homeowners policy will provide liability coverage for you at your vacation home. However, most homeowners insurance policies provide only limited coverage for personal property at an additional residence. To insure the vacation home itself and to obtain additional personal property coverage, consider purchasing a dwelling and fire policy. There may also be insurance issues depending on how much of the year the property will be vacant. For more information, contact an insurance professional. What about renting your home to others? If you want to rent your vacation home to others, keep the costs in mind. For instance, if you hire an experienced real estate rental broker who is familiar with rental homes and the rental market in which your vacation home is located, you’ll have to pay a fee. If you go it alone, you’ll have to pay for advertising, for travel to the property to show it to prospective tenants, and for an attorney to draw up leases. If you plan to rent your vacation home for several short periods during the peak rental season (e.g., weekly for a ski chalet), you’ll want to budget for greater vacancy periods. And since short-term rentals tend to place greater wear and tear on a property, you’ll need to budget for greater repair costs. On the plus side, renting your vacation home to other people when you’re not using it can help defray the costs associated with owning the home and generate income for you. The income tax treatment of your vacation home depends on how many days you rent it to others, and other factors. Tip: Rental income received from such a home is not subject to tax. Because you don’t report the rental income generated from this home, you can’t deduct the expenses related to the rental. Unlike the sale of your principal residence, you aren’t allowed a capital gain exclusion when you sell a vacation home or second home. However, a home that is currently a vacation home may qualify as your principal residence in as little as two years. When you rent out your home for more than 15 days during the year, things can get more complicated. The tax treatment of your vacation home now depends on how much time is allotted to personal use (as opposed to rental use). Rental income: All rental income is reportable. Rental expenses: Rental expenses must be divided between personal use and rental use of the property. Deductible expenses, such as insurance, repairs, utilities, and depreciation, are generally limited to the amount of income generated by the property. Other deductions: You may deduct qualified residence interest, property taxes, and casualty losses. Mortgage interest is considered qualified residence interest if it is incurred with respect to your principal residence and one other residence. So, you won’t be able deduct the mortgage interest on more than one secondary residence or vacation home. There are also limits on the amount of indebtedness that may be taken into account in determining the amount of qualified residence interest that is deductible each year. Rental income: Gross rental income is taxable to the extent it exceeds the rental-related expenses. Rental expenses: All expenses, including mortgage interest, property taxes, insurance, advertising, and so on, can be deducted against the rental income received on the property. You should report these expenses on Schedule E of your federal income tax return. Losses: If the total rental expense exceeds the gross rental income, then the resulting loss may be deducted from your personal income (subject to relevant limitations, including the limitation on the deduction of passive losses). Unlike the sale of your principal residence, you aren’t allowed a capital gain exclusion when you sell rental property or second/vacation homes. However, if you own and use the home as a principal residence for two out of the five years preceding the sale of the home, you may qualify for capital gain exclusion, even though the home was a rental property or vacation home for the balance of the five-year period. At Mission Wealth we can help you analyze your real estate portfolio, including the income yield and rate of return you are receiving. If you plan to purchase a new home, we can help evaluate your real estate holdings and act as a sounding board to help you make smart decisions. We’ll also review your insurance coverage to make sure you’re properly covered. We can coordinate with your existing real estate professionals or introduce you to others. Continue to Rent or Time to Buy?